Musical Projects: Albino! Afrobeat, Cradle Duende, Rubix, and recently began leading his own group, Kuckaw! Key Teaching Concepts:Building a solid foundation of technique, theory, practical application, and most importantly, fun! A full-time, professional musician Adam Lowdermilk is somewhat of an enigma, with equally inspirational and impressive qualifications as student, teacher, and performer. Recipient of a Master’s Degree in Music Performance and Literature from Mills College in Oakland, Adam has also performed across the globe with award-winning ensembles. recently appearing at Festival International Jazz Plaza in Havana, Cuba with the Will Magid 4. A passionate instructor, Adam’s appreciation for both music and knowledge is validated with extensive education and experience, allowing him to offer a unique and valuable musical perspective his students. 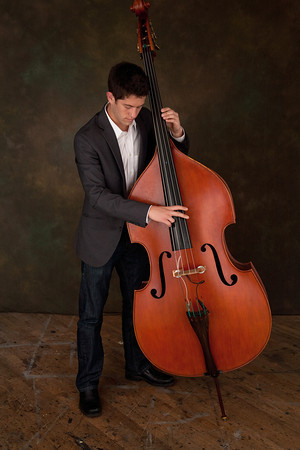 Originally from San Diego, California, Adam relocated to Northern California when he began his undergraduate studies in Jazz at University of California, Santa Cruz. Adam currently performs with a variety of groups throughout the Bay Area including Albino! Afrobeat, Cradle Duende, Rubix, and recently began leading his own group, Kuckaw! “I can confidently say that my biggest strength as a teacher is a high level of dedication towards the success of my students. I spend a lot of time outside of lessons preparing unique materials for each person, and always strive hard to see them improve, enjoying the process as they go along.” Lessons are catered specifically towards the interests of each student, and will include constructing a detailed lesson plan that maps out goals and helps you reach them promptly. Adam is an avid surfer and skateboarder, and enjoys traveling, hiking, cooking, and playing chess.